Development at Mulgoa Rise is nearing completion with just 88 home opportunities remaining in the residential estate. Mulgoa Rise will be home to over 500 families when complete. 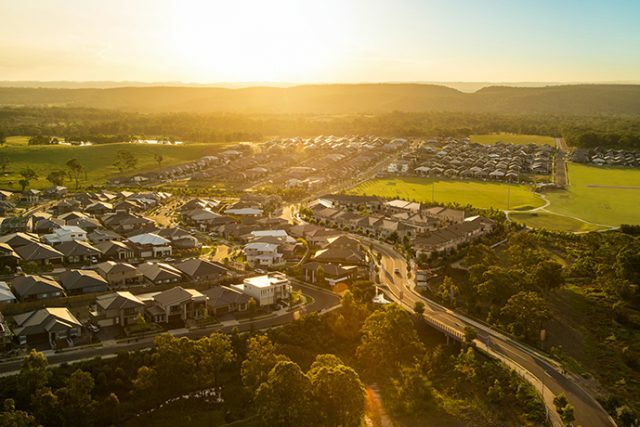 Mulpha Norwest Executive General Manager, Tim Spencer, said the dynamic sense of community and the long-term sustainability of the estate are the result of the diverse choice of housing options available. “Since the beginning we have had a strong focus on building a vibrant, liveable community in Mulgoa Rise. The integrated master planning of parks, walk and cycleways, schools, transport, shopping and other facilities has helped foster this sense of community,” Mr Spencer said. Residents Jocelyn and Paul Zakostelesky purchased a block of land in one of the first releases of land in March 2011 – an elevated block in Highdale Terrace, with views to the Blue Mountains. Paul runs his own IT business and Jocelyn is a teacher’s aid at the local school. “We had been looking for a long time for land to build our home. When we found Mulgoa Rise it was perfect because it had easy access to all the facilities, just minutes from Glenmore Park Shopping Centre and a 10 minute drive to Westfield Penrith Plaza,” said Jocelyn. Mr Spencer said Mulgoa Rise is now widely recognised as a community success story – vibrant, thriving and self-sustaining into the future. “We are confident that with the population and economic growth of western Sydney, with improved transport links, job opportunities and the soon-to-commence construction of the international airport at Badgerys Creek, Mulgoa Rise will continue to be a great place to live and a highly sought-after location for many years to come,” he said. The final stages of vacant home sites and completed homes are now available to view.